While it’s a developing country in many ways, Peru is still one of the most stable nations in Latin America. It’s economy has boomed over the last decade due in part to mining, produce exports and, of course, tourism. And, the middle class has grown from 25 percent of the total population to 60 percent during this time. This surge in the economy is attracting outside investors who want to build relationships with Andean corporations. For this reason, it’s beneficial for foreign business leaders to know the basics for a successful meal and a deal during their time in Peru. Peru is very much a Western nation so most foreigners will fit in just fine. That said, the devil is in the details. While Peru is modern, certain aspects are still quite conservative. When attending a business lunch or dinner, dress in smart attire – a suit or slacks and a tie are good options for men, and for women, an oxford shirt and pants or a dress will suffice. Nice watches and handbags polish off an outfit, but be careful if you decide to wear them here as they can make you an easy target for thieves. Locals often joke about la hora peruana (Peruvian time) – when people arrive 30 minutes to an hour later than the arranged time. While showing up fashionably late is common among more casual arrangements or among friends, if you’re here on business, it’s best to show up on time and ready. Now that you’re dressed and at the restaurant, you have to order. Peruvians love cooking, talking about and eating innovative dishes with bold flavors. 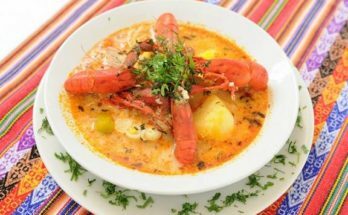 In fact, once you get here you’ll find that one of the first questions most Peruvians ask – be they colleagues, clients or cab drivers – is if you’ve tried the cuisine. 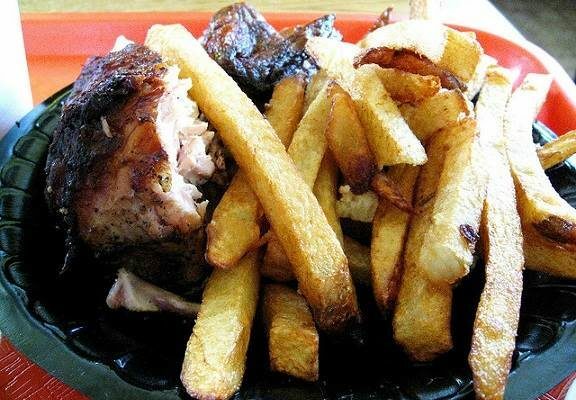 While popular here, dishes like ceviche (raw fish marinated in lime juice) and cuy (roasted or fried guinea pig) can be stomach turning to outsiders. 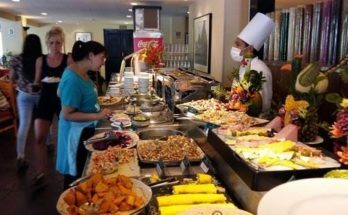 Restaurateurs are well-aware of this so they also feature more mild dishes like arroz con pollo (rice and chicken), pasta and vegetarian plates. :: Causa: This dish comes from the Quechua Indian work ‘Kausaq,’ meaning “that which gives life.” Causa, which is served cold and usually as an appetizer, is seasoned mashed potatoes stuffed with tuna, egg, chicken, shrimp or avocado and then topped withaji (a spicy dipping sauce) or black olives. :: Lomo Saltado: Strips of sirloin or other steak bathed in a soy sauce marinade and sauteed with onions and tomatoes. The mixture is served atop french fries. Order a lo pobre for a topping of fried eggs and fried sweet plantains. :: Picarones: Think doughnut meets Peru. This fried dessert is made of squash, sweet potatoes and/or quinoa (so they’re totally healthy!) and then covered in with molasses. In short, it’s a party in your mouth! 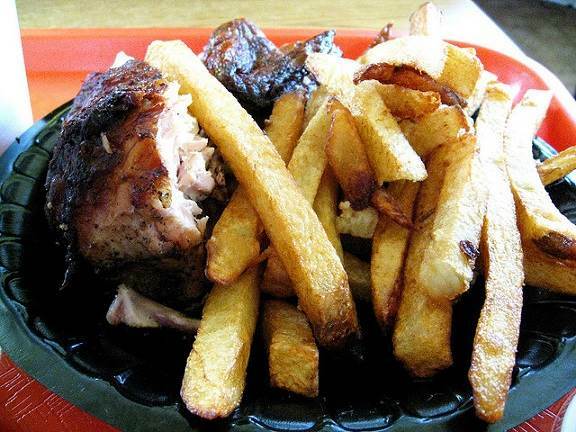 :: Pollo a la Brasa: Oven roasted chicken often accompanied by rice, potatoes and salad. 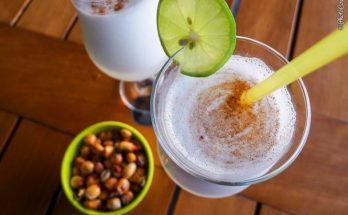 :: Pisco Sour: This is an incredibly refreshing adult beverage made of lime, syrup, egg whites, and Peru’s ever-popular Pisco (a grape brandy). It may sounds like a strange concoction, but trust me, the end result is a beautifully crafted and classy cocktail. Diners may be out of their element not only because of what’s on the menu, but also because of the time they are eating. Lunch is typically around 1 or 2 p.m., with dinner as late as 9 or 10 p.m. Hunger can strike if you are used to eating earlier, so packing a snacks like crackers or a granola bar in your brief case might be a good alternative to stomach grumbles. Above all, the key to a successful Peruvian power lunch or dinner is being yourself. Peruvians love engaging in real conversation with real people. Be open and honest with your business needs and everything else with be a piece of cake.